Storm Erik is due to inflict an explosive cyclogenesis (weather bomb) on Northern Ireland on Friday and Saturday. Erik will bring with it very strong winds measuring at between 60mph an 70mph. 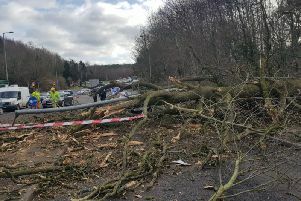 Storm Erik is expected to visit some punishing weather upon parts of Northern Ireland on Friday and Saturday. 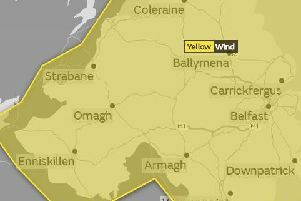 The Met Office has issued two weather warnings for Northern Ireland as a result. The second weather warning becomes active at 12:15am on Saturday and remains valid until 3:00pm the same day. Both these warnings apply to all of Northern Ireland. What is a 'weather bomb'? A 'weather bomb' is an unofficial term for a low pressure system whose central pressure falls 24 millibars in 24 hours in a process known as explosive cyclogenesis.